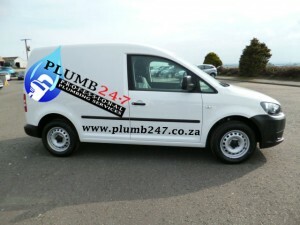 Our Cape Town Plumbers strive to provide the best and most accessible plumbing service, ensuring professional and uncompromising workmanship with a smile. We accurately assess the problem & supply a competitive quotation to our valued customers. With our extensive knowledge in the plumbing field, no job is too difficult, too big, too small or unsolvable to us. Being in the plumbing industry, we know that these little plumbing surprises does not keep office hours and usually strikes at the most inconvenient times, that is why we are available 24 hours, 7 days a week, 365 days a year. We firmly believe in being liable for the work we do and thus we are registered and accredited. We endeavor to always be as timely as life allows and if we cannot make an appointment on time due to unforeseen circumstances, we will surely give you a call to keep you informed. Most of our vehicles carry a variety of specialized plumbing necessities and equipment. Please ensure you give us a detailed description of the problem, so we can be sure to bring along the correct equipment for the job. We do carry materials like washers, valves and various other spare plumbing parts, so most problems can be dealt with immediately and effectively. Not only do we service the domestic sector, but also industrial & commercial and all our work come with a guarantee. Our Cape Town plumbers pride themselves in keeping up to date with all the new plumbing technology & innovations and use them to our advantage in our every-day plumbing jobs. Some plumbing dilemmas can only be repaired by a skilled plumber, no matter how much of a DIY Specialist you are. Whether you need some old school plumbing, just a new washer on that annoying dripping faucet or a high tech new bathroom with all the gimmicks and gadgets, we are the plumbers to use! From drain cameras to new bathroom to washer replacements – we do it all. Contact us TODAY for a no obligation, detailed competitive quote. Please browse our website for water saving tips, sewer line blockages, grey water usage, DIY projects and other interesting information about all things plumbing!